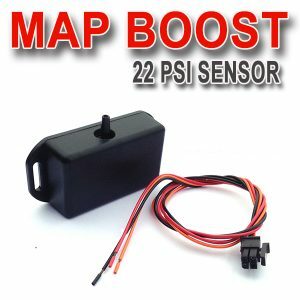 You can use the built-in MAP sensor to measure boost. This boost signal is used by the Unichip to do timing, fuel, and boost control under boost conditions. 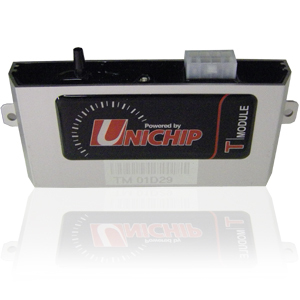 The Turbo module also has a voltage clamping circuit to prevent the stock ECU from setting a check engine light, if the MAF signal exceeds a voltage or signal value. To do this we run the MAF output through the signal clamp back to the ECU. 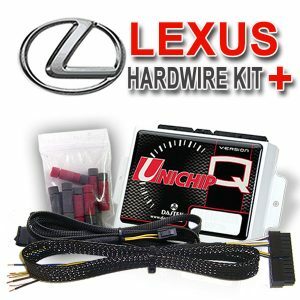 The clamping circuit can then be set to clamp any voltage signal to prevent the ECU from seeing the higher than stock signal or voltage values. On normal aspirated vehicles the ECU will set a check engine light if the MAF signal exceeds the max MAF value. 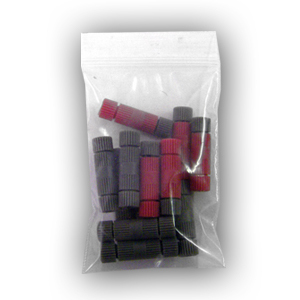 On factor turbo vehicles we can use the voltage clamping circuit to prevent the stock ECU from going into fuel cut. This happens when the boost signal exceeds the factory boost levels. 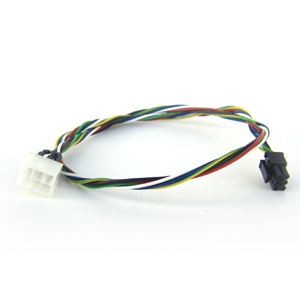 To do this we run the boost sensor output through the signal clamp to prevent the ECU from seeing the higher than stock boost levels coming from the boost sensor. This maximum voltage from the MAF or boost sensor that the ECU is allowed to see is coded into the engine management unit and can not be changed without reprogramming the ECU or adding a fuel clamp. There are two versions available, one that can measure up to 1.5 bar boost and another that can measure up to 2.5bar boost.